This is your everyday, very comfortable, super stylish, cotton tee. Buy it. wear it. embrace it. Make the world a better place! 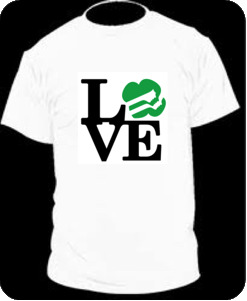 Mens Love logo Tee This is your everyday, very comfortable, super stylish, cotton tee. Buy it. wear it. embrace it. Make the world a better place!